When we wrote about our favorite Real Time Strategy (RTS) games for Linux sometime ago, 0 A.D. was featured right on top. It is a free and open source game which holds a lot of promise. 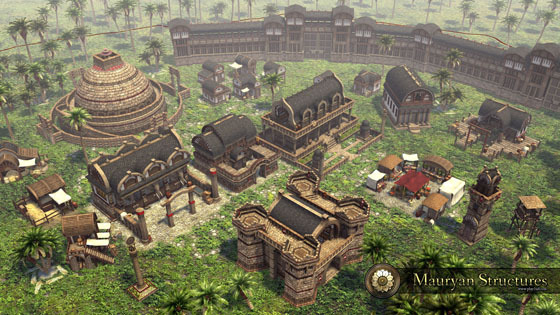 And after nearly 4 years of development, 0 A.D. has just hit version Alpha 14, codenamed "Naukratis". Along with the release, 0 A.D. devs have launched a much-deserved crowd-funding campaign as well to bring the game to completion. "The entire team and I have been developing 0 A.D. open-source for 4 years in a part-time, hobbyist capacity. Even longer before that in a closed-source environment. But now it’s high time to bring this baby home to completion! We want to finish this game and pack it full of rich content and exciting features, and we want to do it as soon as possible," writes Michael Hafer, project leader for 0 A.D on Indiegogo campaign page. Follow the link below. If you like playing 0 A.D and intends to contribute towards development of the same, this is your chance to show some love. Download instructions for Windows, Mac, and Linux here.